I found myself spring cleaning today, okay, cleaning my bookshelf and I realized, I had 91 books that I could do away with. As much as I want to donate to an orphanage, local library and the like, it has become too bureaucratic that the appeal has died. Besides, I wanted my books to be owned by someone who loves books as much as I do. I found myself posting on my wall and the village group about my dilemma and lo and behold, there were people who answered and 2 of them even got to pick the books today. Book lovers really will find a way especially when it comes to free books. YES, FREE BOOKS. It did not cost them anything to get my books. Why am I giving it away? Well, its just a way of paying it forward for me. Someone gave me a massive amount of books before and I am just forwarding the favor now. The world could use a little bit of kindness and it doesn't have to be anything grandiose you know. A simple act of kindness can be like a butterfly effect that will spread more good. I love the smile on these women. They seemed really happy with the books. Today I decided to let go of some of my books. There were 2 persons who asked if they could adopt them and since they were also booklovers, I said yes. Booklovers + free books = happiness. Please take care of my babies ladies. #bookworm #booklovers #welovebooks #payitforward Bdw, they were perfect strangers who are now acquaintances. Hopefully soon through our common love we will become friends. I have been reading a few books here and there. When I post it on Instagram, some people would always ask my opinion about it so I've decided to give a very short review on each book that I have read. This book tugs at your heart. Deep down you know what will happen but you keep hoping that perhaps, there will be a miracle. It will make you fall in love then break your heart. Tearjerker. Painful. Real. A must read. Light read. This is for tweens and young adults. My goal is to read at least 20 books this year and so far, I'm a little behind but I know that with a little persistence, I can make it. What's on your reading list? I try to see them once a week. No matter how crazy my schedule is, I try to meet with these people. Sometimes I get to do it 4 straight weeks and then I don't get to see them for 2 weeks but most of the time, I get to see them and it feeds my soul. They are my Small Group. We talk about the word of God and the lessons we can learn from it. I like that it is more of sharing rather than preaching a religion. We come from different religious backgrounds but we all sit down, share our struggles, and talk about how God is working his plans for us in our life. They keep me grounded. They remind me that things will be okay. They accept me for all my sins and craziness. They remind me that yes I am not perfect but that it is also okay to not be perfect. I am so grateful for them. I have always taken comfort that our village is a secure place. I have walked around in this village carrying a laptop (literally carrying it, not inside a bag) and I felt secure doing that. Sometimes, I would walk from the guard house to my home which would take around 30 - 45 minutes late at night and I thought I was safe. Today, this false sense of security was ultimately shattered. A murder took place inside the village and it was done in a well lighted area with people around. It was done in front of All Day which is a convenience store beside Elizabeth Seton School. No, I am not sharing a photo of the crime scene out of respect for the family of the murder victim. From what I know, he was shot in the head or face and he lived inside our village. The car he drives was a familiar one to a lot of the people here. I wish the BFRV Officers and Security would do something about this. 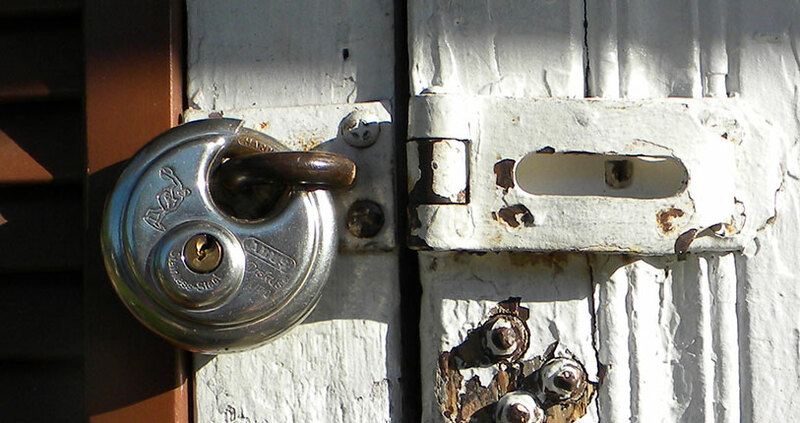 We really need to tighten up the security measures inside this village of ours. In the last few weeks, news of car windows being broken and items stolen have been reported, homes have been invaded, and now, a murder. When will you act? When will it be too much? Does it really need to go beyond this? A life has been lost. Let us not add more to it. We need to help each other out and stop thinking only of ourselves. Please, before it becomes too late. B just finished with his recognition day and once more, I am blown by how talented and smart he is. He's already on his 4th grade and he self studies. I have to say that he has been fairly consistent in the medals that he gets. I am so proud of my son and I wish that he would always remember the value of studying. This is really all I could ask for from him when it comes to his schooling. The last time I attended a class was back in 2003 which was roughly 13 years ago. I remember it being fun, challenging, and most important of all, informative. 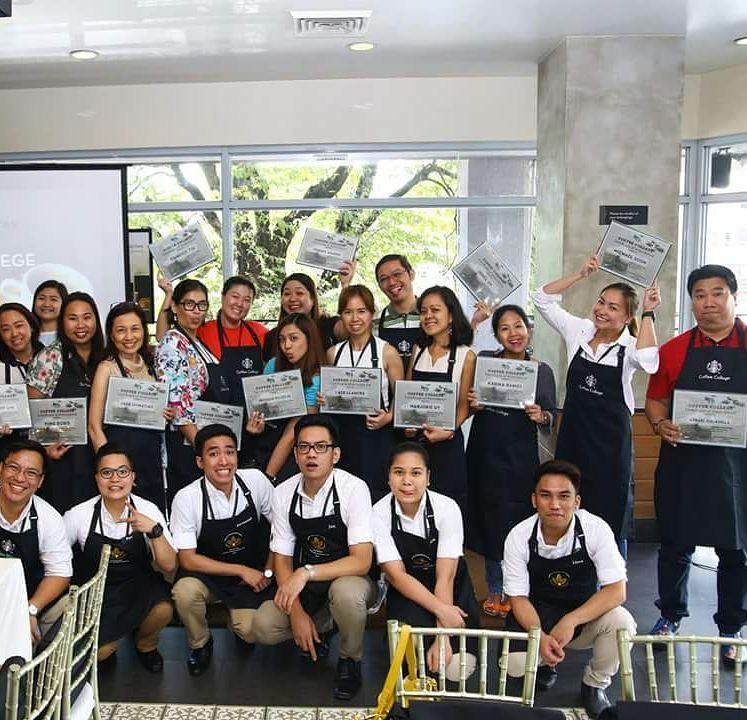 When Starbucks invited me to attend Coffee College, I knew that I would be reliving my school days and that this would be a fun, challenging, and informative class. I guessed right. You can never say that you are a true coffee lover if you don’t know anything about the history of coffee. I’m not saying you need to know everything but a few basic information helps. It makes you appreciate the coffee that you are drinking. The highlight of the day though was when coffee was paired with food that we had. This was not your usual brunch thing bdw. It wasn't the normal rice meal Filipinos have for breakfast that is usually paired with coffee. This was your regular lunch or even dinner kind of thing. The grilled shrimp salad was so fresh and the edible flowers and arugula it came with was so good. Paired with the Starbucks Ethiopia Clover Brewed Iced Coffee, the salad actually tasted a lot better. It was weird because I never thought of pairing coffee with salad but it actually worked. 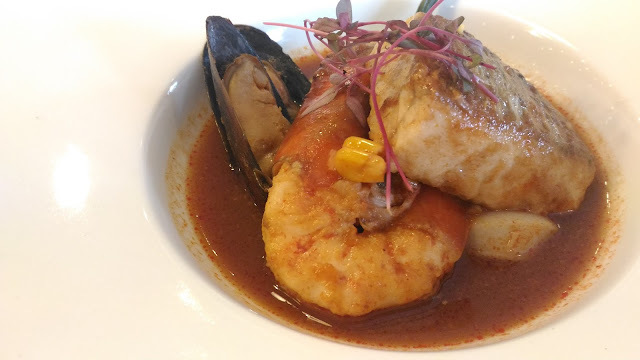 The Seafood and Eggplant Cocido was very different. I loved the seafood part but I didn't eat the eggplant because I really don't care much for eggplant. This one was paired with a Starbucks Tribute Blend. This time around, my mind was adjusting to the whole coffee pairing thing and I was actually enjoying it. This Adobo sa Balsamic was a little too strong for my taste but thankfully the Starbucks Tribute Blend that came with this balanced out the taste of the balsamic. 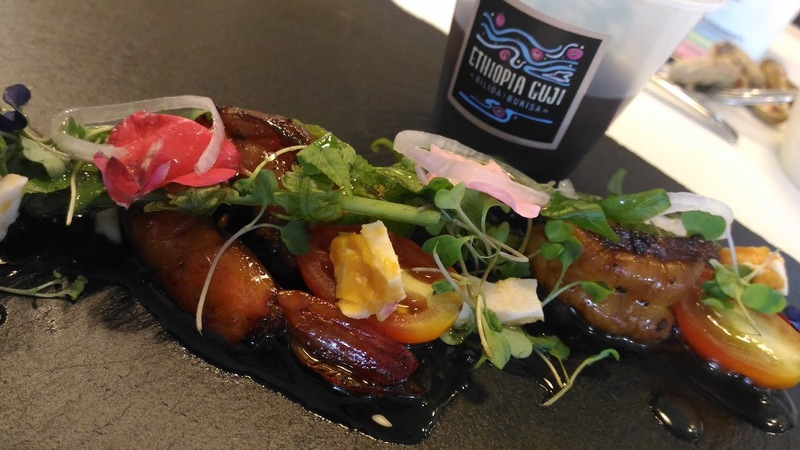 I may be unfair here though because I was never a fan of balsamic. This is definitely the winner of the day. 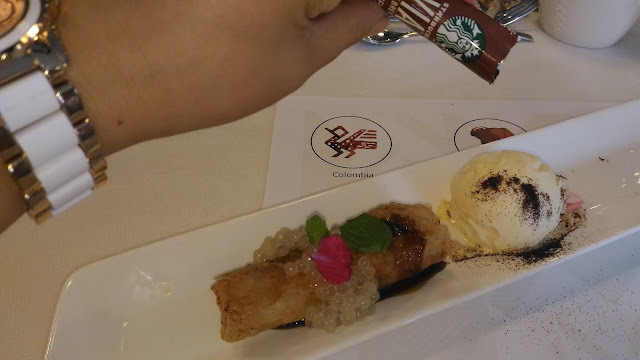 The Turon sa Halo-Halo drizzled with Starbucks VIA Ready Brew Colombia was absolute perfection. Initially, I placed only a few of the coffee grounds but upon tasting it, I had to pour at least half of it on the ice cream. It was just so heavenly. Who knew that coffee grounds could taste so good? 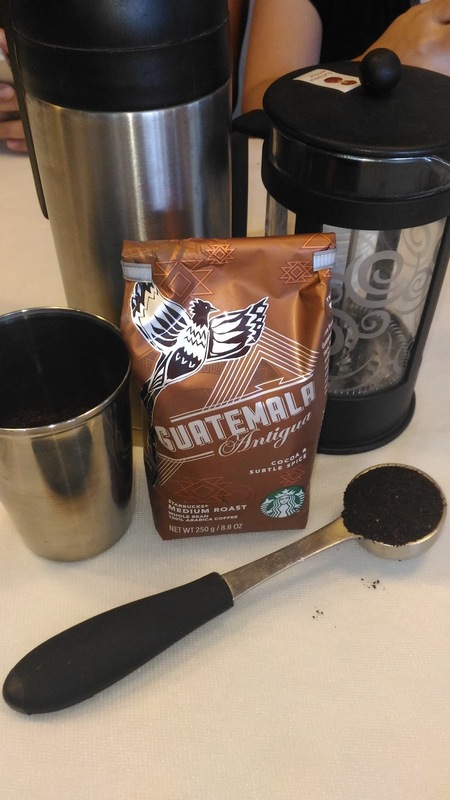 Afterwards, the Starbucks Coffee College taught us the proper way to brew Starbucks coffee. They also taught us how to do the cold brewing thing which was quite amazing. I think I'm actually gonna go ahead and give it a try. 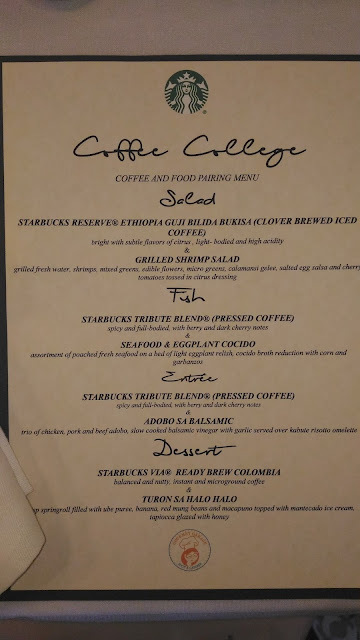 The Starbucks Coffee College was very educational. Thank you to Starbucks for always ensuring that we have something to look forward to every day. B has never been a sporty kid so I had mixed feelings bringing him along to a MILO Sports Clinic. He plays volleyball and a little badminton but he shies away from basketball and soccer. During the sports clinic though, he made a promise to me that he would try almost everything and he kept his word. They were all divided into groups and for B's group, the first thing they tried was TENNIS. They were taught how to catch and pitch the balls. B showed great potential and was actually commended by the trainers. When I asked him which of the sports he tried on were his favorite, he said that part of his top pick is tennis. After almost 20 minutes doing tennis, they were sent off to CHESS. It wasn't B's favorite but because his Aunt K loves chess, he knew a little about chess and could play a little of it. B listened to the teacher but they were not able to play due to time constraints. 3rd stop was PINGPONG. B liked this one. It seems that he likes anything remotely related to badminton. He knew how to balance the ball and he was able to follow suit on the movements without any problems. If I didn't know it any better, I would say that given the chance, it seems that he could be very sporty. Next stop would be VOLLEYBALL. B definitely had a knack for this and he was able to hit all the volleys sent his way by the coach. I feel really happy about this because I played volleyball when I was in high school. B then tried on basketball where again, he seemed to have a natural talent. I'm not being a stage Mom here. It's just that the people conducting the training noticed it too and they have recommended that I should let him pursue these sports. I loved that B was almost to try on everything except GYMNASTICS. He tried it but then his chest started hurting so he asked if I could stop. It seems that he is not for gymnastics. I'm just happy to see my son exploring and doing activities that did not involve gadgets. Thank you MILO and I'll make sure that my son has sports activities this summer. After all, we have enough MILO to drink everyday and build champions. The MILO program has over 700 venues nationwide that will offer a total of 17 sports - Badminton, Basketball, Bowling, Chess, Fencing, Football, Golf, Gymnastics, Ice Skating, Karatedo, Swimming, Table Tennis, Taekwondo, Tennis, Touch Rugby, Triathlon, and Volleyball. For registration and class schedules, go to http://www.milo.com.ph for more information. To sign up, just visit the website, download the registration form, and submit to the organizer the sport of your choice together with an empty 1kg pack of MILO. This is the ship of Prestige Cruise. It is not so big but it is still very impressive. It looked stable and something that won't easily sink which mattered to me since I actually have a little phobia because I cannot swim. Yesterday, my family and I boarded the Prestige Cruise to go around Manila Bay and watch the Pyro Olympics competition featuring Australia and Canada. I was really happy about this because my Mom loves going around Manila Bay and this was something that she has been wanting to do for quite some time. This is what greeted us when we stepped on the Top Deck of Prestige Cruise. I have to say that it looked pretty nice and very promising. This is the view. I have to say that Manila Bay is still amazing. Once we started the cruise, there were safety guides and precautions that were announced. I listened because again, I cannot swim to save my life. The photo below looks like a scene from the movies. It is definitely something that is pretty awesome to see. When I took this shot, I couldn't help but marvel at how pretty the night was, how Prestige Cruise managed to bring to life a simple boat into something picturesque. This is the view at night. It may not be as pretty as the Hong Kong night sky but I'm gonna say that it's still very pretty. I appreciated it. Finally, the fireworks display started and I have to admit that watching it from the deck of Prestige Cruise was definitely one of the best seats in the house. It was so nice seeing the full effects and I love that even though I stood up to take these photos, the ship was very steady and didn't rock one bit. There were times even that I forget that I am on a boat. Once the excitement of the fireworks subsided, it was time to focus on the food. Prestige Cruise is now catered by Barbara's which makes me very happy because the food would be familiar to me. 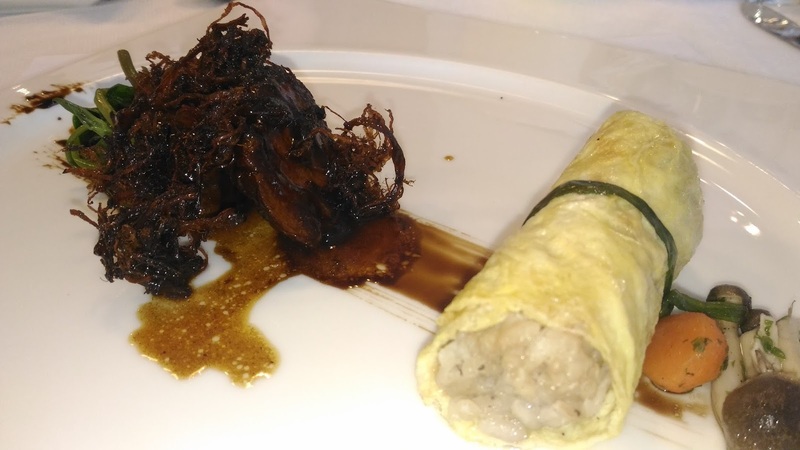 It's not spectacular nor will it get a Michelin star but it is definitely good and for the price, it is totally worth it. The braso de mercedes alone was noteworthy. My family and I probably ate an entire platter all to ourselves. It was so good. They also served beef, pansit, chicken, lumpia, and even pavlova. We all had 2 to 3 servings which just proves that we did like the food. It was truly a relaxing night. My family and I played catch up and even with a live acoustic band, we could easily talk. We went around the Manila Bay area and because the ride was so very smooth, we were just surprised to find that we were already fronting Roxas Boulevard. The staff was quite attentive and even with a lot of people on the deck, they didn't have to be reminded twice when we ask for something. Overall, this was one of the most relaxing nights we have had as a family in a long time. My Mom even said that this was her favorite so far in our recent family trips. If you are looking for something to do on a weekend in the city, book a cruise with Prestige Cruise. It won't kill your budget and as they always say, it feels good to disconnect and just enjoy the view and time with the family.